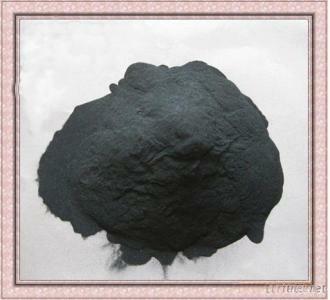 Zhengzhou Xinhua Raw Materials Technology Co., Ltd.
Silicon carbide (SiC) is made from quartz sand and petroleum coke (or coal tar), wood chips as raw material through high temperature smelting in electric resistance furnace. Its hardness is between fused alumina and synthetic diamond. Mechanical intensity of it is higher than fused alumina. It is brittle and sharp has electrical and heat conductivity in some degree. 5.application: Refractory, metallurgy, cast-on outwell, abrasive materials, functional ceramics, semiconductor fabrication, silicon carbide fiber, building materials, chemical industry and so on. 3: Remove oxygen from iron compound. 4: Adjust the carbon content, increase the silicon and elevate the temperature. 6. It costs less than ferrosilicon and carbon combination. 7. It has no dust nuisance while feeding the material. 8. It can speed up the reaction. 9. Corrosion resistance, high strength, high hardness. 10. Good wear-resisting performance, resist to shock. Minerals & Metallurgy, Non-metallic Mineral Products/n.e.s., Non-metallic Mineral Products/n.e.s.